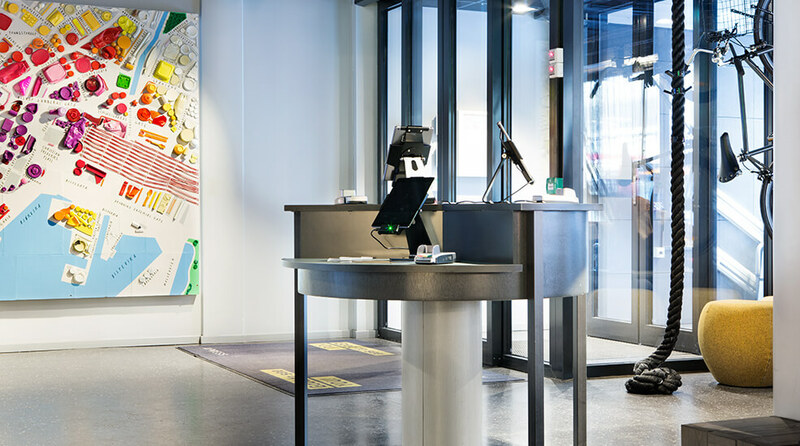 Comfort Hotel Xpress Central Station is located in the heart of Oslo. A convenient and efficient new kind of hotel, just 50 metres from Jernbanetorget. With everything you need: a spotless room, a comfy bed and constant WiFi access. The entire city of Oslo is on your doorstep. It's true, new hotels open all the time. But not like this one. The thing about Comfort Hotel Xpress is that it really is a hotel for everyone. Italian businessmen rub shoulders with Finnish backpackers, Icelandic rap artists and Russian contemporary dancers sit next to Japanese globetrotters in the lobby. What do they have in common? They're all here to experience Oslo and everything it has to offer. Check this out too see what Oslo has to offer. It's all about chilled vibes and stress-free lounging here. We're not into Mr or Mrs. Everyone's on a first name basis. Check out our lobby shop for snacks, breakfast, drinks, lighter meals and useful stuff. It's open 24 hours a day, to make things as easy as possible for you. When you stay in central Oslo, you're close to everything. Karl Johans gate, Oslo's main thoroughfare, is literally round the corner. Drop by reception and tell us what you're looking for, we'd love to give you our top tips on what to see and do in Oslo. One word: Plenty. And you're in luck! We have lots of foodies working here who know Oslo like the back of their hand and who are happy to guide you to their favourite restaurants, in all price categories and for all tastes. So, whether you're in the mood for a hamburger, fine dining or posh snacks, Oslo has it all. There's more to a good bar than just great cocktails. Which is why we've got a Top 3 list of what's on in town this month. Check out our What's On calendar for the best concerts, happenings, football matches, shows and lots more. Comfort Hotel Xpress Central Station has 167 rooms, all designed to meet your hotel needs but with none of that extra fuss. Straightforward, streamlined and better for your wallet. Feel right at home at Comfort Hotel Xpress Central Station in Oslo – the perfect choice for modern, price-conscious travellers! Take the airport express train to Oslo Central Station. The airport express train departs from Oslo Central Station every 10 minutes.